Thanks to the dry air, it’s important we pay special attention to our skin in the wintertime. Jeannine Morris from joyfully-me.com stopped by to share beauty tips that’ll help you keep your skin hydrated all season long. We’re all guilty of taking long, hot showers to warm up when it’s cold outside, but that’s a winter skincare don’t! The heat will strip moisture out of your skin. Instead, take quick, mild showers and use a body wash that helps to nourish your skin like Dove Body Wash Mousse. It’s the brand’s first in-shower mousse. Made with essential oils, it cleanses and nourishes your skin. It’s also great for shaving. Once out of the shower, use an intense moisturizer to lock in the hydration. 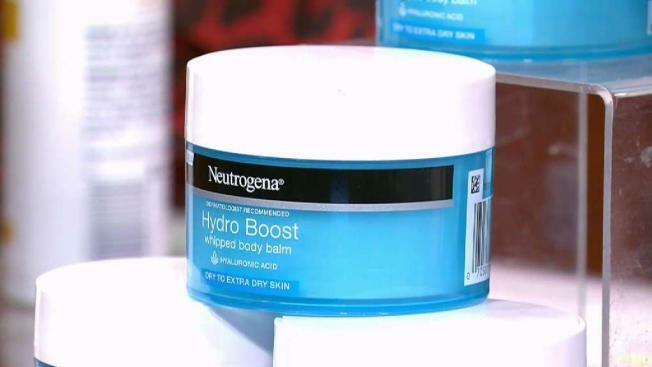 I love Neutrogena Hydro Boost Whipped Body Balm. It’s a light-weight, velvety whipped balm that contains hyaluronic acid to attract moisture to your skin. Neutrogena really brought face-level skincare to the body with this product. It leaves your skin feeling soft and replenished. Our skin can become dehydrated very quickly, because our bodies naturally distribute water to our other organs before our skin. Smartwater just came out with smartwater antioxidant and smartwater alkaline. The antioxidant version helps your cells fight against free radicals and the alkaline variation has a PH of 9 to help balance acidity in your body. Another thing you can do to make sure your skin stays hydrated in the wintertime is have a diffuser in the areas you spend the most time. I love Saje Ultrasonic Diffusers, because they’re portable and chic. Keep them on your desk or nightstand to help add humidity into the air. You can also use them with or without essential oils.